If you want a healthy and beautiful meal, this recipe for Greek Chicken and Vegetable Kabobs is just the ticket. 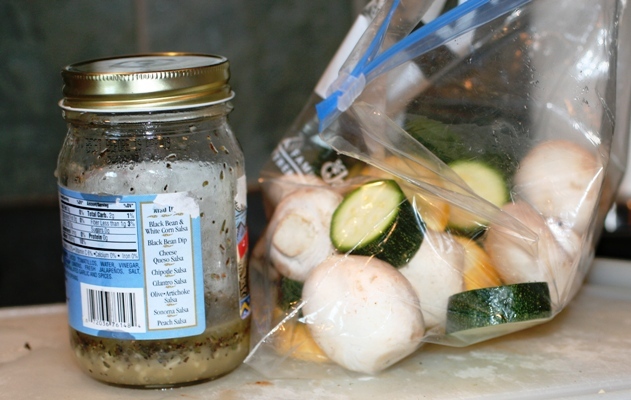 The hardest part is pulling together the marinade, and that only takes about 5 minutes! I serve the chicken over long grain and wild rice (an Uncle Ben’s Freebie! ), with a Greek Salad, fresh homemade hummus, and whole wheat pitas. You can use this marinade on just about anything. It is great on chicken, beef (oh, steaks! ), lamb, and vegetables. I usually just cook the chicken on the side and thread the vegetables on a metal skewer. Tip: If you are using bamboo or wood skewers, soak them in water for 30 minutes to keep them from burning on the grill. 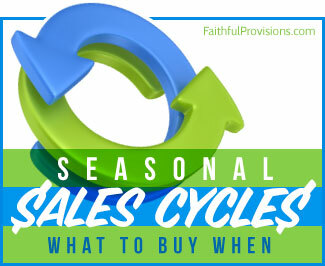 I used what vegetables were on sale and what I had on hand, but here are some suggestions for different ones you can use. 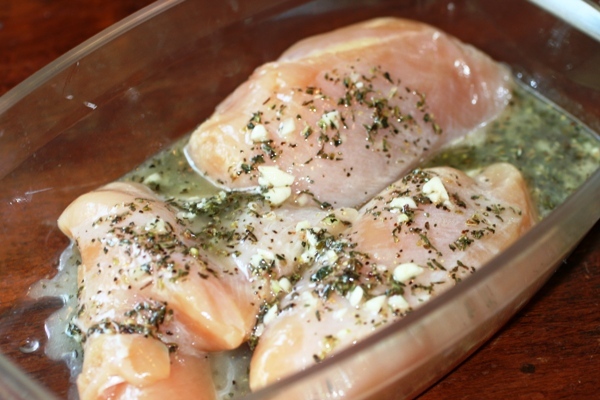 Put chicken into a bowl, and pour half of marinade over chicken, and let sit out at room temperature for 30 minutes. Letting the meat sit out and get to room temperature before putting it on the grill, cooks the meat more evenly. 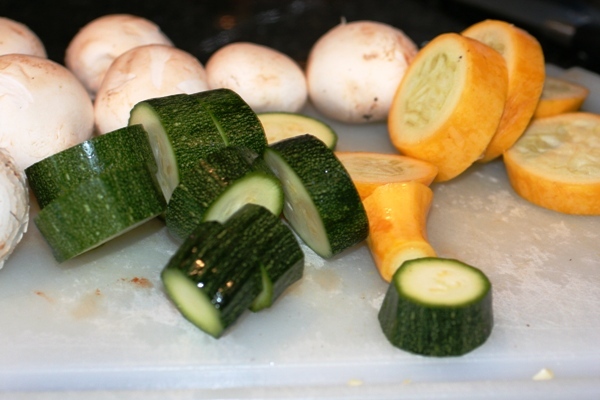 Clean mushrooms and cut vegetables, while meat is marinating. You want nice thick slices to put onto skewers, so they don’t break and fall off. 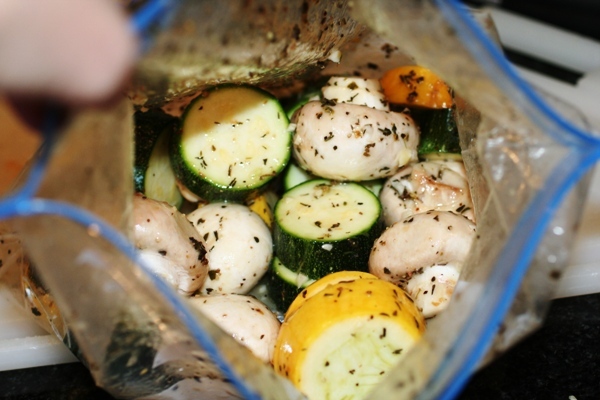 Five minutes before you are ready to put everything on the grill, combine remaining marinade and vegetables into a large plastic bag. Shake up to coat all vegetables. Then thread onto 3-4 skewers. 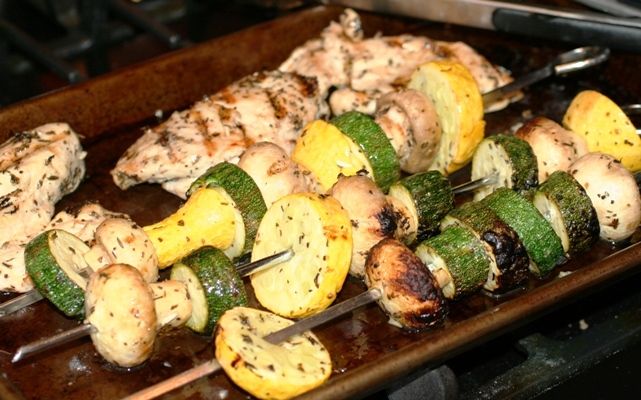 Cook chicken and vegetable kabobs on a flaming hot grill for 10-12 minutes. Or until chicken is done and vegetables are tender. 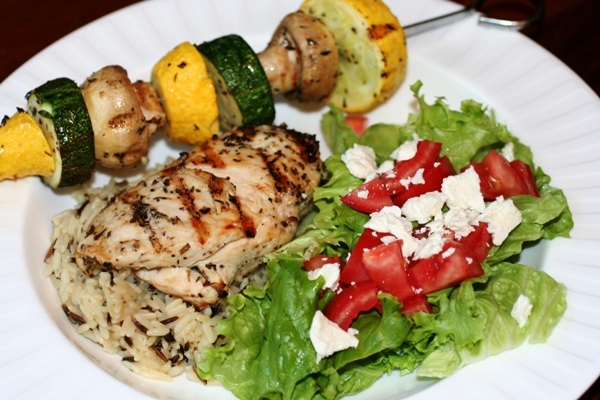 Serve chicken over a bed of long grain and wild rice, with a side Greek Salad. I also pour the Greek Dressing over the whole thing before I eat it! Put chicken into a bowl, and pour half of marinade over chicken, and let sit out at room temperature for 30 minutes. Letting the meat sit out and get to room temperature before putting it on the grill allows the meat to cook more evenly. Shake to coat all vegetables. Cook chicken and vegetable kabobs on a flaming hot grill for 10-12 minutes or until chicken is done and vegetables are tender.